When we conduct our presentation training sessions, almost every speaker begins their presentation with a PowerPoint remote in their hand. By doing so, they send a signal to their audience right from the start: Boring PowerPoint show about to begin! 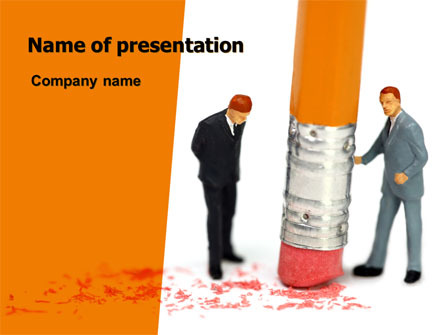 The vast majority of presentations shouldn’t open with a slide. The opening moments are a critical opportunity to forge a connection with your audience, which is best accomplished by speaking directly to your audience, not by clicking to a boring agenda slide. That being the case, there’s no need to keep the remote in your hand at the beginning of a presentation. If you’re using PowerPoint, you can pick up the remote when you’re about to click to your first slide, which may not occur until several minutes into your talk. And if there are long gaps between slides, you should put the clicker down during those gaps as well. This may seem like a small point, but it’s not. Before our clients deliver their second practice speech, I ask them to put the clicker down. That small act often changes everything about their performance. They often move closer to the audience (they’re not tied to the screen), gesture more (they don’t have an object in their hand), and use the pronoun “you” more (they’re suddenly having a conversation with the audience, not presenting a slide). Simply putting the clicker down is a small move that offers almost magical powers. Please don’t interpret this post as being anti-clicker. Remote controls allow speakers to move away from their computers and advance slides more subtly. I carry one in my backpack every day just so I always have one handy whenever I speak. My only suggestion is that you don’t begin or end your presentation with one in your hand or hold it in your hand during long gaps without a new slide. Just place the clicker on a table or slide it into your pocket. If you don’t already use one, I really like the Targus Laser Presentation Remote, pictured above. All you do is plug a small connector into your laptop’s USB port, and the remote instantly works. And since it’s less than $25, you won’t be too upset if you accidentally leave it behind. This entry was posted in PowerPoint use, presentation tips and tagged PowerPoint, presentation, public speaking on September 25, 2014 by pptstar.